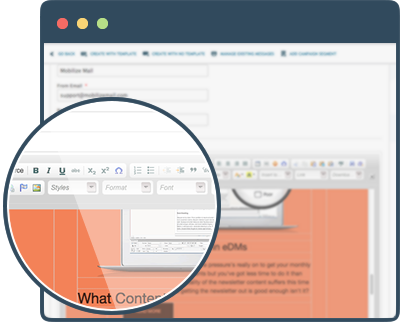 With our HTML message editor you can create professional looking email marketing messages in minutes not days. The HTML editor has been designed primarily for business people, presenting the design view of your message in progress. Mobilize Mail email templates are carefully designed and developed with your brand in mind. 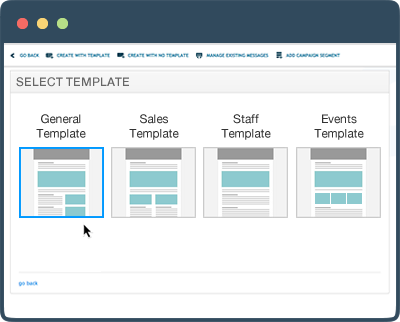 Your email templates can be used for some or all your email messages and your first template is included in the initial Account Set Up. 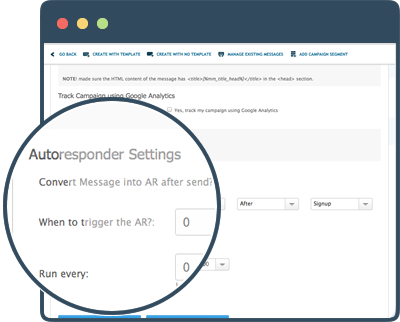 Auto Messages also known as “auto responders” are perfect for staying in touch with your network of subscribers, prospects and customers. There are numerous reasons to send an auto message and they can be triggered by different events customized in your account. E.g. Birthday, membership and renewals, and reward programs. Increase the ROI of your email campaigns by adding personalization. The Mobilize Mail TAG Library provides quick and easy features that you can add to your message. There is a “First Name” tag so you can begin your message with a “Hello [First Name]” and a “Web Version” tag so your email message can be viewed within a web browser. 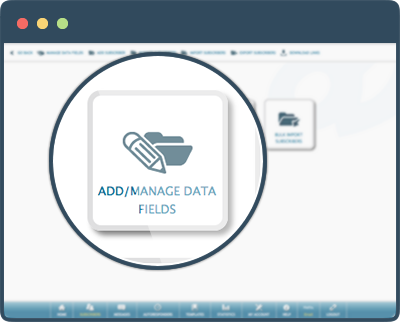 In fact a corresponding tag is automatically created for every subscriber data field you have within your account. “Feedback” link is another ingenious TAG you can use to capture feedback from your subscribers. A “Forward to A Friend” link empowers the subscriber to refer your email to others with ease and on receipt they can “subscribe” to your emails. Mobilize Mail provides an image and document library so you can upload images and documents to your Mobilize Mail account. Images in your image library can be presented in your messages, and documents can be presented as a clickable link. Remember all links are tracked with our real time email message statistics so you know who has viewed your document. Add social media tags to your email content to encourage the distribution of your newsletter to web sites such as Facebook, Stumble Upon, Digg This, Twitter. You decide what social media tags you want within your email. You can also change the tags at anytime.